Since we just moved into our new home, I was a little late in decorating for the holidays in our home! I finally feel festive because I put the finishing touches on our holiday decor with our new items from BrylaneHome! They were easy to set up and make our house festive and fun! 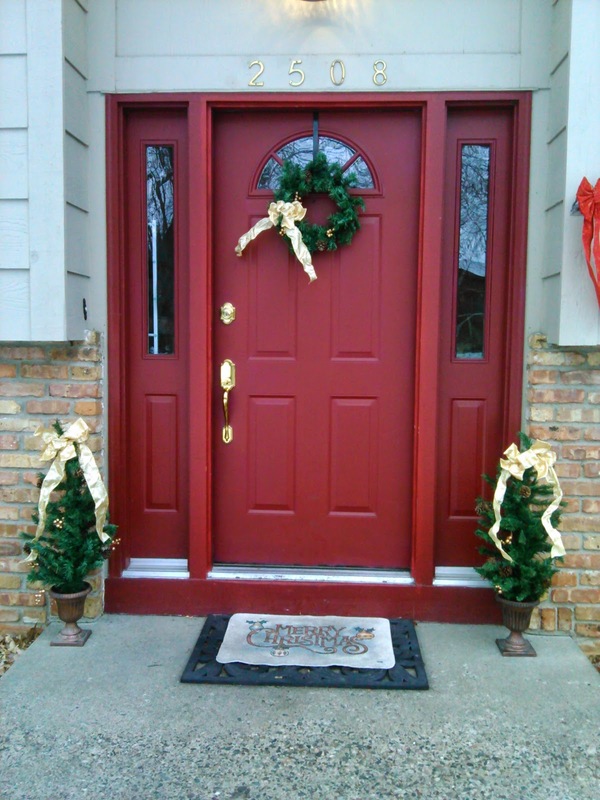 Outside our house is decorated with the 6-Pc Entry Set! Transform your entryway with a festive assortment of all-weather, fade-resistant, pre-lit evergreen to create a welcoming glow at your doorstep. A great addition to your outdoor Christmas decorations, this set comes at a value that can't be beat. This 6-pc. set is cordless and each uses 3 AA batteries (not included). I love that it doesn't require cords but I don't love 3 batteries for each piece! However, I do LOVE that you can put them on a timer and have it turn on by itself each day and stay on for 6 hours! It is made of PVC/PE/plastic/mesh fabric and includes: 2 potted mini-trees (36"H x 17"W, 86 tips and 35 lights, each), 2 garlands (72"L x 10"W, 120 tips and 35 lights) and 1 wreath (20" Diam., 70 tips and 20 lights) and 1 12" wreath hanger. Creating a merry atmosphere for the holidays has never been easier or more affordable. This is a simple yet stylish solution for decorating outdoors this holiday season! And inside we are loving the festive Snowing Holiday Scene with Snowmen and Music! 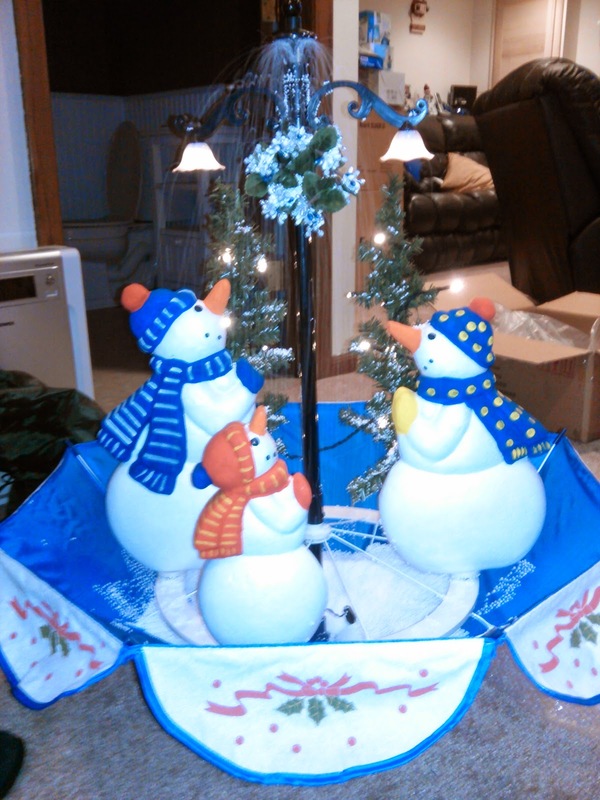 This indoor winter wonderland, featuring a festive snowman trio, faux-snowfall with adjustable speed control, 2 lit lamp posts, 2 holiday trees, each with 12 mini white lights is the perfect piece of holiday decor for your home this Christmas! This piece is WAY bigger than I thought it would be but it is now a holiday favorite in our house! (Its dimensions are 30¼"H x 27"W.) My children ask to watch our own personal snowfall many times a day and I love the holiday music I can choose to or not to listen to while watching the snowfall! 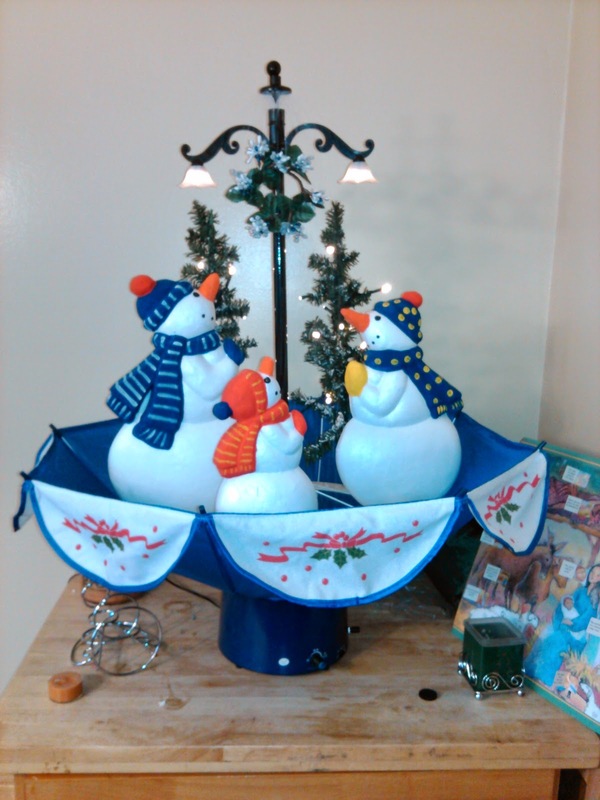 This BrylaneHome® Exclusive has an option to play 25 holiday songs and has an easy on/off switch and fabric umbrella base that catches the falling, reusable faux snow. The snowmen look a little cheap because they are literally made of very visible Styrofoam but they are cute nonetheless! Guests will love visiting your home for it’s wintery spirit displayed indoors. BrylaneHome offers tons of great solutions for the upcoming holiday season including pre-decorated trees, Christmas bedding, and brilliant ideas for entertaining! You can purchase both these festive pieces from the BrylaneHome website.